At the heart of these ingredients is all of nature’s performance, enhanced by state-of-the-art processes: a maximum concentration of active components, even higher than in the fresh plant! This quintessence of nature’s activity is obtained using high-technology processes: supercritical CO2 extraction, enzymatic biopurification or bioconversion, which return pure and ultra-performing ingredients with a biological activity demonstrated by in vitro and/or in vivo tests. 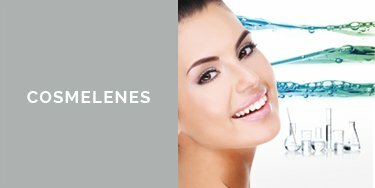 • Plant PHYTOBIOACTIVES of terrestrial or marine origin: Having searched on land and in the oceans for the most interesting adaptive natural systems, GREENTECH transforms and applies them to the deep mechanisms of the skin for a result that is visible at the surface. The R&D team, like in the pharmaceutical industry, uses bioinformatics for molecule modelling and for transcriptomic studies (and are the only ones to work on the full genome). A sophisticated technology providing a unique active ingredient efficacy, and having received patents and rewards; hence DANDRILYS®, a natural anti-dandruff active ingredient from a South American plant, received the 2014 Frost&Sullivan prize rewarding a major innovation implementing a technological know-how. • PHYTOBIOACTIVES of biotechnological origin: Obtained from fermentation, a widely used technology in the pharmaceutical and agri-food sectors, they are generated from pure strains of micro-organisms, biosynthesized under strict monitoring and purified using specialised techniques. These water-soluble and standardised plant ingredients have an active ingredient concentration close to that of the fresh plant. GREENTECH ethnobotanists select them on all continents based on their efficacy as recognised in the pharmacopoeias and in the traditional medicine systems. They are extracted using a sophisticated process combining a liquid extract and a dry extract from the same plant; these act synergistically for maximum efficacy as demonstrated by in vitro and/or in vivo tests. 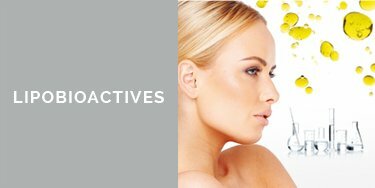 How to increase the active ingredient concentration and therefore the efficacy of a cosmetic formulation? 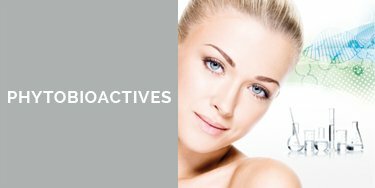 By introducing liposoluble actives into the oily phase, that act synergistically with the water-soluble active molecules in the aqueous phase. Sourced from all over the world, the plants used are known in literature for their cosmetic efficacy, comforted by in vitro and/or in vivo tests. Their extraction process enables a significant amount of liposoluble compounds to be sampled. Integrated into the oily phases of emulsions, they can also be the main component of oily formulations. Available in the catalogue, various forms for all formulation needs. Soft Butters® with an ultra-silky feel made using 100% of the plant, plant-based butters in their natural state, self-emulsifying butters (GreenSoft®), raw or refined oils (LIPACTIVES), etc.